I've been doing a little of this and a little of that. 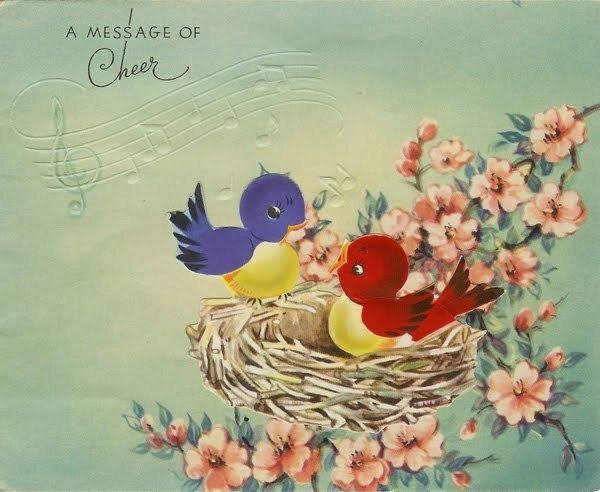 I found this cute vintage card at an Antique store yesterday and had to share. It's so springy-and that's what I'm looking forward to. Below a couple of thrifted finds. 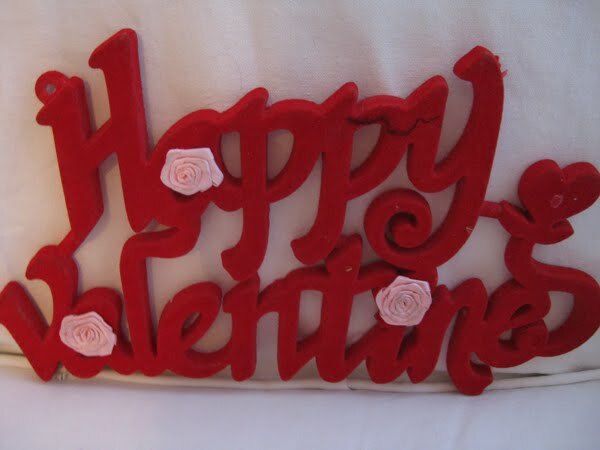 I'm going to glitter this kind of beat up sign and use it in my Valentines display. 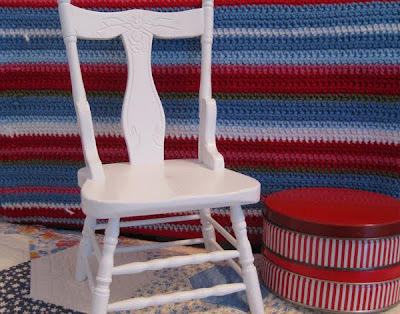 I couldn't pass this adorable little doll chair at GW and I always pick up red and white tins. You can use them for so many things. What a cute little chair. I haven't been thrifting this week. Maybe today I should get out and check our Dollar Days at Goodwill. I'm thinking of a red, white and blue theme for my spring decorating. Still thinking!!!! Must get Christmas back in storage first. I LOVE that doll chair. The tins are cute too. Looking forward to seeing the transformation of that sweet sign! I always enjoy a visit to your blog. I am a fan of red and white and find so much to enjoy here! Ay yi yi, my husband is still on vacation, he goes back on Monday! I've missed you and look forward to catching up. My gosh you've got so many projects. I have a lot living in my head but that's as far as they seem to get these days. Woe is me. See you soon. :) Happy weekend! Love that chair! It looks like a comfortable one..